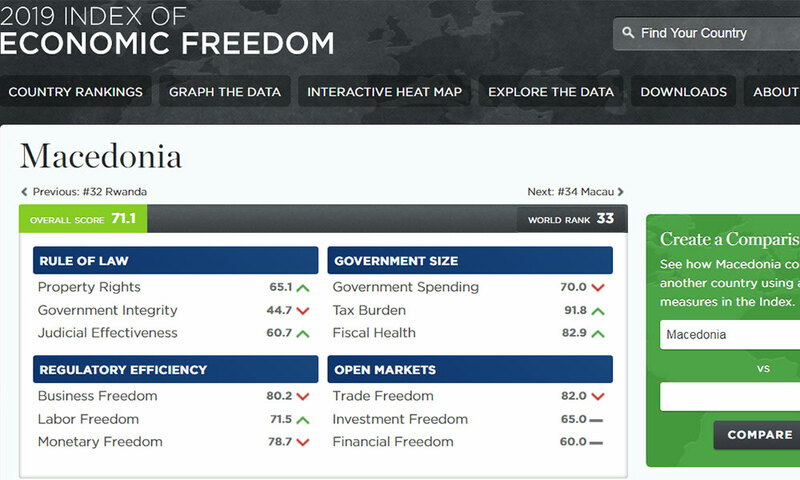 FYROM is listed 33rd in the world and 17th in Europe based on the index of 2019 economic freedom prepared by Heritage Foundation. The report says that the country enjoys macroeconomic stability, while the political crisis has affected economic performance. However, the report also says that the level of informal economy accounts for 20 to 45% of GDP, public spending is unproductive and that there are weaknesses in the implementation of laws.